(Shannon Pettypiece, Bloomberg News) WASHINGTON — Donald Trump’s legal team is preparing a formal demand to special counsel Robert Mueller for documents related to his Russia probe before allowing the president to sit for questioning, said Trump’s personal lawyer Rudy Giuliani. 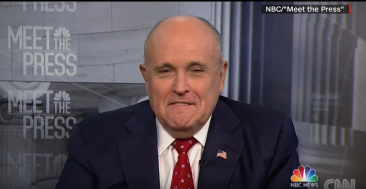 Giuliani said he wants to see documents related to an FBI informant and an unredacted copy of a memo outlining the full scope of the special counsel’s mandate, the former New York mayor said in a telephone interview from Israel. He said he has informally made the request, but gotten no response. “The fact that they haven’t handed them over, all that makes me do is want it more,” said Giuliani. The demand for the documents is the latest condition Giuliani has placed on an interview with Trump. He’s previously said the interview shouldn’t go more than two hours and be narrower in scope than Mueller had initially indicated he was seeking. Trump’s legal team has also argued that the president shouldn’t have to answer any questions, even if Mueller issues a grand jury subpoena, citing Trump’s executive authority. The Justice Department has resisted sharing the documents widely. A Virginia judge overseeing the trial of former Trump campaign chairman Paul Manafort ordered Mueller’s team to turn over the complete three-page memo from August outlining the specific crimes Mueller is authorized to investigate. But only a heavily redacted version has been made public. And it took a directive from Trump for the Justice Department before officials provided a small group of lawmakers with a briefing related to an informant the FBI used in a counterintelligence investigation into Trump’s campaign. Trump’s lawyers have been negotiating with Mueller since the end of 2017 over terms of an interview. Back in March, Mueller indicated that if Trump didn’t agree to a voluntary interview he could issue a subpoena to testify before a grand jury where Trump would be under oath and not have his lawyers by his side, according to John Dowd, Trump’s attorney at the time. Giuliani has indicated he would fight a subpoena if one was issued. ©2018 Bloomberg News. Distributed by Tribune Content Agency, LLC.